An open letter to environmentalists | Watts Up With That? A guest post by John Coleman, founder of The Weather Channel, and Chief Meteorologist of KUSI-TV in San Diego. Thank you for your dedication to protecting our environment. Clean air and clean water are essential to preserving life on planet Earth. Protecting all species and natural lands and forests are admirable priorities. Recycling and a green lifestyle are wonderful. Making the environment the most important thing in your life is a good thing, not a problem. I support you. But we do have a problem. You have vigorously embraced the Global Warming predictions of the United Nation’s Intergovernmental Panel on Climate Change and are using the warning of uncontrollable warming and a resulting environmental calamity to campaign for elimination of fossil fuels. Your environmentally conscious friends in politics and in the media have united with you to create a barrage of news reports, documentaries, TV feature reports, movies, books, concerts and protest events to build support for your goals. The war against fossil fuels has become a massive scare campaign that is giving children nightmares. Here’s what’s wrong with that: the science is not valid. There is no Global Warming underway and the science on which the computer projections of weather chaos are based is wrong. Dead wrong. I know many scientists are part of your movement and they have tried hard to give your uncontrollable climate change panic a scientific basis. The UN Climate Change Panel has a large staff, a big budget, a headquarters in Geneva and a strong champion in Al Gore to lead the charge. And thousands of well-intentioned politicians and the media of the world have supported your movement. It must seem to you that there can be no doubt: fossil fuels are destroying the environment and will lead to uncontrollable global warming unless we act now. With all that powerful support for your anti-fossil fuel movement, and with the worthy goal of saving the planet from the disastrous consequences of runaway Global Warming, how can you fail? Here’s how: The science behind your global warming scare is bad and no anthropogenic global warming is happening. Dissenting scientists have now produced convincing evidence that the cornerstone of your scientific argument, increased atmospheric carbon dioxide forcing a rapid, irreversible rise in temperature, is invalid. All of the various “signs of global warming” you have so widely publicized have been proven wrong. They are normal variations in climate that result mostly from the cycles of the Sun. As the Sun cycle has changed in the last three or four years, they have reversed themselves. Arctic ice melting and polar bears dying, shrinkage of glaciers and the rise of ocean levels, increased intensity and number of hurricanes and intensified droughts have all been touted as signs of global warming. They are not. They are part of this natural variation in climate. The intensified hurricane claim never happened. Katrina was an isolated, random event. The droughts are part of the natural cycle and are reversing at this time. Glaciers are stabilizing. The Arctic ice cap is already back to normal. Here is what I am suggesting you do. Campaign for your environmental goals on the basis of their own merit. Let go of the global warming frenzy before it leaves you discredited and embarrassed. Stop screaming, “The sky is falling.” It is not. Do your good work. Devote your lives to our environment. In many ways you will succeed. We are all grateful for your love of the planet. But, don’t use scare tactics. P.s. – If you will read my briefs on the science that debunks the global warming frenzy and follow the links there, you will begin to realize the folly of Global Warming. Bookmark http://www.remss.com/msu/msu_data_description.htm and follow links from there to get to the monthly images. Be sure to check the anomaly selector. The planet has no really hot or cold areas. The hot area in Asia last month is still warm but not remarkably so. I’d go as far as to say things look remarkably unremarkable. Of course I know nothing about the climate being just a gardener/sheep hobbyist that comes from a family of farmers, but if we are in the grip of runaway global warming, why has the commercial growing region for citrus in the southeast contracted from including the lower third of Georgia in the 1800s to just in central and south Florida now? The orange groves extended to just south of Jacksonville in my lifetime. Seems like the inexorable march of the freeze line northward would have expanded the citrus growing territory to central Georgia by now. That is, if it were occurring. I was just wondering why no one is blogging a response to the following news story that just came out. I would love to hear a response because these are scientist saying this about the Artic ice this summer. This claims to have scientific evidence for it. I hope the links works. Why are those RSS numbers different than the link provided on the What Spot? thread. Thanks. Is this the same John Coleman who was a meteorologist in Chicago back in the 70’s and 80’s? He was always considered one of the tops! I read this on Icecap this morning, and fully agree with the article, and applaud you for having the courage to write and publish it. I suggest that the models are not based on real science at all, but rather a long intricate series of semi-educated guesses. And I think the difference is significant and very important. There is science and there is AGW. And there is no commonality. Maybe some engineering equations are involved, but not science. Over 13,000 dead in Myanmar, hundreds ill with fatalities in China. That’s what you get when nature comes calling and you lack technology. Higher standards of living through technology give us the best hope of survival. Living in mud huts with open sewage and lack of food and clean water is nothing but misery where your only hope of relief is death. Time to fire up the grill, pop open a cold one and watch my wide screen HD TV. I might even take the SUV out for an air conditioned spin later. The environmentalist camp falls into two categories. Those in the majority are common sense folks who truly want things to be better in the future. However, there’s an extremist minority that has made environmentalism it’s religion. They’ve been joined by the anti-western, anti-capitalist forces that were shown to be philosophically mistaken when the Soviet Union collapsed. They’ve found a new vehicle for their destructive impulses and won’t take the advice offered by Mr. Coleman. They’re dangerous and need to be identified as such because they don’t want to conserve our resources, they want to prevent all use of them. Sensible environmentalists should be alert to reject their radicalism because it can only cause much suffering. Eu moro no Brasil, voces são meus convidados para passarem aqui 2 anos, esqueçam esta história de aquecimento global, vamos ver o mundo por outra ótica …Antonhy traga teu amigo da cerveja…Eu não vou perder tempo escrevendo em ingles….se esta é a única linguagem que rss entende, vamos ao samba, churrasco e cerveja…. John Coleman is a very wise man. If only his words could resound throughout the various media of our nation and the world we could begin to focus on the real issues that impact us. We should all do what we can to spread his message. Thank you Mr. Coleman for saying it and thank you Mr. Watts for posting it. Great letter, Mr. Coleman. I just hope that environmentalists read it and take it to heart. “The long-term prognosis is not very optimistic,” atmospheric scientist Jennifer Francis of Rutgers University said at a briefing. “All arrows are pointing towards, certainly not a recovery, something like we had last summer and possibly worse,” she said. And who will post “Jennifer Francis is wrong!” and hold her personally accountable for her remarks? Part of the problem is that nobody seems to remember when these people make such claims and are not correct. When I do a web search for her name, I should find archived places where she was shown to be wrong. Not enough people call the scientists to task for their predictions, in my opinion. Apparently, much of the Southeastern US has been cooling. Awww…..Jeeeze Wally, I feel better already. I’ll sleep better tonight knowing it’s all ok. Thanks a bunch…! REPLY: And this is why activists aren’t always good as scientists. Smarmy comments don’t elevate professionalism. Maybe a few people will be swayed. But I’m afraid a lot of these AGW true believers are just irrational radicals who only want to hear things that will further justify ramming through their Stalinist-type agenda. I did take a brief look at her web site at Rutgers, but she doesn’t have anything posted from this year. Her most recent paper Drivers of declining sea ice in the Arctic Winter looks interesting, I only had time to skim it. She does mention the positive PDO in the Conclusions and I think hints at the AMO, so it might be worth asking her about what the PDO shift may bring. She also says “As the oceans continue to warm and storminess increases in response to inceasing concentrations of greenhouse gases, as predicted by state-of-the -art global climate models…”. That’s worth a challenge! Before criticizing what she has to say, especially what makes it through the mainstream press, it’s worthwhile to learn what she really does have to say. Perhaps you can write up a summary of this summer’s Arctic see ice melting, ask her for her comments, and post both here this fall. John Coleman makes the mistake of assuming that all environmentalists are true believers in the man-made global warming myth. It is important to distinguish between the two. I agree with most of the text of his letter. Global warming is not a huge problem and most of it is not manmade. But I would regard myself as an environmentalist. I recycle, compost, I’m concerned about destruction of rainforest and other habitat, and I belong to various environmental organizations. Let’s make this distinction, to further isolate the global warming scaremongers. However, there’s an extremist minority that has made environmentalism it’s religion. Unfortunately these extremists tend to be the ones in charge, like Maurice Strong. I would like people like the gal who says the ice sky is falling to include her reference point for floating ice concentration comparison. Things are ALWAYS more or less than they were. The key is “were”. Compared to yesterday? Last year? 10 years ago? 100 years ago? 1000 years ago? Last 10 year average? Last 1000 year average? If she is called on the carpet for being “wrong”, she will have an immediate number that she is using for comparison that will prove her “right”. Raw data is the playing field. Statistical analysis is a game you play on the field of data. Good article Linda. It’s one of those things we can add to our “predicitions” file and review it after the “summer melt” ends. Awwww……Jeeeze JD (must stand for “Just Dumb”) is that the best you can come up with? Pathetic, Alarmist sarcasm? So, don’t sleep. Just continue basking in your “the sky is falling” alarmist pseudoscience. Enjoy it while you can. If global warming were real, then why would GW believers be pushing ethanol production from food, when science shows ethanol production actually increases GWG emissions? Because food-to-fuel results in increased global hunger, and it IS increasing terrorist recruitment, could it be that the increased warfare and death toll will lower population numbers so that the human footprint is less? That’s similar to the proponents of abortion who advocate fewer babies. Good article. Am putting Icecap.us on my reading list. It is important to remember that the area covered by “sea ice” is by definition only 15% or more covered by ice. Much of this year’s covered area is much thinner than previous years and is expected to melt more quickly than normal. Kind of makes you wonder about some of his other unsubstantiated but less easy to verify claims doesn’t it? The real question is whether or not the Arctic sea ice will reach a new record low this summer. It’s too close to call I would say. I would be interested to see where the rest of you that are more optimistic than I about the state of the arctic sea ice coverage get your info. Arch, from Aqua, Argos, and the UAH and RSS satellites. The globe is cooling and Arctic Ice will return, as Antarctic ice has. The north is more dependent upon wind and currents for the resulting sea ice extent and thus is not as good an absolute thermometer as is the south, but it will come along until we start warming again. The question I have is why did we get the Arctic melting we did last summer. Was it the last gasp of the flipping PDO? All the folks I know that are concerns about AGW are very against ethanol production from food crops for the reasons you mention. The people behind it are the farm lobby, the Administration and folks that are poorly informed. I like this source from the University of Illinois (hardly a conservative source). after reaching a minimum amount last summer, this is pretty strong evidence of returning to normal, although it make take a few years to thicken back up. However as a seasonally adjusted “normal”, this past winter was less that about .25 million sq km less than average total ice for the peak of winter. What is interesting is just how was made up in just one year at the north pole (which corresponds to the now prolonged solar minimum). But also looking at the south polar ice…. We went from slightly below average, to almost 2 million sq kmabove average in less than a year, and reached the all time (at least since satellite data) record high ice coverage during this past SH winter. Summer is just ending there, and already there is still about 1.5 million sq km more ice than exactly 1 year ago today. we are just above average for right now after reaching being about 3 million sq. km below average approx 1 year ago. So when Mr. Coleman says the polar ice caps are back to normal, the real data confirms he is right. Even Greenpeace is down on food produced ethanol. I am aware of the Antarctic sea ice situation. It is encouraging indeed. I have read 2 different theories on why it may be happening (despite GW) but I admit both of them are somewhat tenuous. BTW, Mr. Coleman may have intended to say “polar ice caps” but he didn’t. He specified “The Arctic ice cap is already back to normal.” Because of its anomalous thinness that he seems to conveniently ignore I would still contend that he is being disingenuous. Which still required unsubstantiated alarmism. Seems to be a real slugfest taking place here on Ice melt. I think the Arctic could very well see a record melt this summer. It is awfully thin. And when the Arctic climate warms, ice melts – weird huh? But that doesn’t say anything about what causes it. Concerning Antarctica, here the warmists are dead wrong. It aint thin, hasn’t been thinning, and is now near record levels. Weird how things freeze when it gets colder, aint it? What has caused that? Now if all the warmists have left as evidence of AGW is one melting ice cap, then they are in a heap of trouble. All other major indicators and cycles, and even a German report from an alarmist institute appearing in Nature, basically say the global warming circus can go on vacation for the next 20 years or so. Gore has also invested heavily in the production of ethanol. He certainly has been cashing in big time. People are starving, but look who is laughing going to the bank. I would content that because of the dominant circumpolar winds that encircle and isolate the S. pole it may not be a very good “absolute thermometer” either, particularly due to it’s unique loss of the GHG ozone which may (or may not) be contributing to it’s recent coolness. Last year’s very anomalous Arctic warmth likely will not be repeated this year. It remains to be seen however if the longer term trend is reversing, and the ice loss can recover. In reading more about the PDO I see there is a longer term component to it than I was previously aware of. Indeed it’s reversal could be significant. Swampie: If you read Mark Twain’s “Life on the Mississippi,” written more than a hundred years ago, you will find he mentions Orange Groves on the outskirts of Natchez, Mississippi. I didn’t notice any such thing on my last visit to Natchez a few years ago! Sorry Dead Guy Next To The Gold, there’s no evidence of net Ozone loss year to year at the South pole or anywhere else it’s measured. Check the NOAA graphs for yourself. 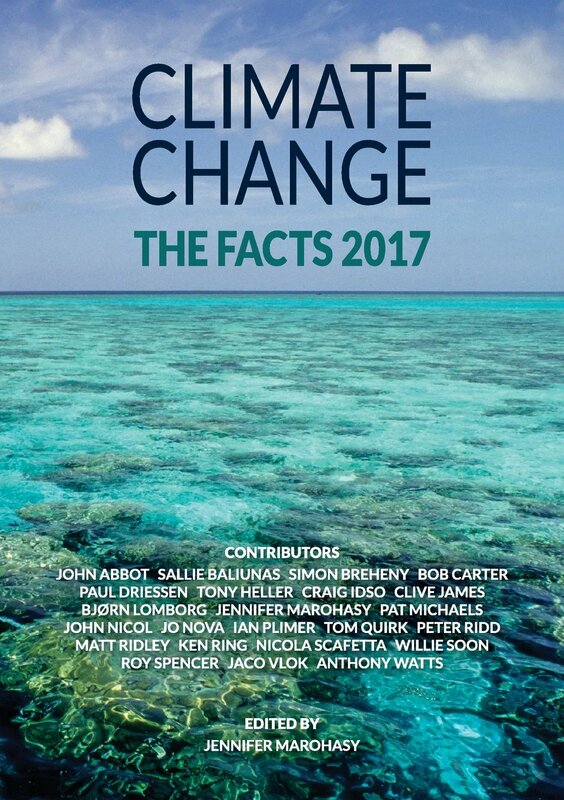 Why is it that all the big notable climate realists are old-school … Bob Carter, Don Easterbrook, many others, the majority of whom late-career & post-retirement researchers and a good many of whom formerly ascribed to the warming-only hypothesis. Could it be they know the score in publish-or-perish & have seen it all before, the <a href=”http://www.google.com/search?q=information+cascade” information cascades, the competitive feedback that buries simple, sensible falsifications – like how it is that Pinatubo’s coolth had only two years’ residual but a bulk of warming could supposedly hide in a 20-year long temporal pipeline somewhere? It’d be darn interesting to see a sociological study on this one. Thanks, Rod! I thought there may have been other references to the southern citrus groves out there but couldn’t remember where I had read them for the life of me. Even your previous pro-AGW link says the Artic reached 96% of normal ice. However they spin it to fit the AGW agenda. Try looking at real stats without the spin. Since CO2 is basically the same at both poles, demonstrates that whatever is happening at the North Pole, isn’t happening at the South. In looking at the past 30 years of satellite data, it seems to be a Ying-Yang thing going on at the poles, and overall a balance. Whenever the North is low, the South is high, and vice-versa. What is indeed telling about the south pole, is that there was nearly 2 million Sq Km above average, and the only news story we saw about it on major media was the 160 sq mile chunk of ice that broke off. Definately shows the media bias in what is really happening. But as your link stated, the North pole reached 96% of normal. A small 4% variance from average isn’t statistically that much, so indeed I would say his claim is accurate. Another question I have is why no one seems to be tying the extremely successful disinformation program the KGB managed to dessiminate into the western scientific community. This program has successfully hamstrung US energy progress by demonizing nuclear power and industry, fearmongering doomsday theories like AGW, the Atomic Clock and US Nuclear weapons and anti-missile defenses and the results of these efforts to damage the US economically. IMO, it’s indisputable that the Greens have been co-opted by the “former” Communist like Gorbie, the Academic/MSM Left and the other profiteers of destruction. Just so we clarify what alarmism we are talking about the POTUS pushed increasing ethanol production on the basis of increasing our “energy independence”. I don’t recall him being very concerned about GHGs. I’m not sure I would use the term “unsubstantiated” here. I never said the ozone hole had expanded recently. Are you claiming that Antarctic cooling is new? I’m not sure why you would consider this a slug fest, I didn’t come here for a fight and most folks here seem fairly civil; few ad homs and until now the immature rhetorical questions have been kept to a minimum. I’ve been in much worse. At least Gore is up front about it. I see where Gore also advocates investing in shale oil/tar sands. I find this even more disappointing due to their huge carbon footprint but I suppose that goes to show that he is not out to destroy the fossil fuel industry. The whole energy sector is hot and will continue to be. While I agree with you that 4% is of little statistical significance, I will mention again that sea ice coverage is far from the whole story. To ignore thickness is disingenuous when trying to present an accurate picture of the situation. Indeed it is Coleman who is presenting the spin in this case to support the anti-AGW agenda. As you say; even the source I used presented the 96% data. Which source do you think is more accurate: the one that gives more of the whole story or one that just exaggerates the facts he likes and neglects to mention the ones he doesn’t? Indeed this is true to some extent and appears to have been true prehistorically also as supported by several kinds of evidence, yet the global climate has warmed and cooled. So why do you consider the S. pole to be a superior short term global thermal indicator again? Oops, those darn italics escaped again! Agree that thickness is more a sign of long term. 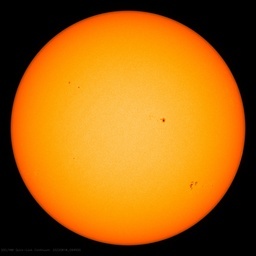 We are in the first year of solar minimum, and cooling trends. While it may take years for thinkness to develope, the fact is that ice has increased the past year. I prefer the real data, and not a spin. The fact is that the AGW alarmists have focused solely on the N. Pole to emphasize their position and totally ignoring and/or making excuses as to why the south pole is at an all time high. Normal????? Normal for what, the last 30 years? How can anyone claim that 30 years out of a 4 billion year history tells us what is normal. I recall an article on this blog or over at junkscience.com about the early 1900’s Arctic having so little ice that ships were able to sail through the Northwest passage. Perhaps we should take our “average sea ice” calculations back that far. Dell, I can agree with everything you said. Some folks here may be interested in these reviews of a paper that came out in Geophysical Research Letters this week concerning the poor performance of climate models in Antarctica. Dell, I can agree with everything you said except for your use of “excuses” in the last. Personally I think they are possible explanations. Please discuss the icecaps on other planets in light of our own icecaps and your understanding of the cause of recent thinning on these other planets. Mars would be a good place to start. I’m not really qualified to discuss ice caps on other planets in depth, (not that I’m qualified to discuss much of anything in depth) but I will comment that concerning Mars I have read that the recent south polar melting has been accounted for by observed albedo change. What do you know about Martian ice caps? As has been suggested, Francis is taking quite a bit of liberty in determining what is “normal.” Implicitly, she is saying that normal is what the satellites measured between 1979 and 2000. She would not be correct if we took the years 2000-2006 to be normal. Plus, we have enough ancedotal evidence to suggest that 1979-2000 levels have not been consistently normal over the past couple of centuries. When I hear John Coleman say that “The Arctic is back to normal,” I understand that to be an approximate statement that in essence reflects the general conditions. I believe everyone who follows global ice realizes that the much of the ice is new. It is reported not to be thinner in all places. Also an interesting note: there are places around the Bering Sea now covered in ice that were actually ice-free in 1980. Let us remember that some scientists have said that Artic Ice will be gone by 2013. Let us see whether Coleman’s statement turns out to be more accurate than that projection. For those that take hope in news of Southern Hemispheric ice is expansion: a a colder climate most likely not a desired outcome for the human race. I do know that NASA has determined that these icecaps grow and shrink on a regular basis showing both short term and long term cycles (the icecap edges show these changes much like old shore lines do). What could possibly be causing these cycles? I am wondering if there is a correlation between temperature signatures and icecap cycles on Mars with what has been measured here on Earth. I sure wish we had a rover that would head over there to collect ice core samples. Wouldn’t it be interesting if we find correlations all over the place? 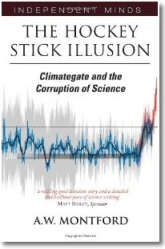 If correlations are found, it would be very hard to continue the argument for man-made causes re: temperature change. Pingback: Weather Channel Founder Makes Another Challenge to Gore « Watts Up With That?